You will also notice that the infotainment on the 2017 RAM ProMaster has been enhanced. In addition to the rear speaker wiring preparation, the Uconnect infotainment system has been updated. It now features Uconnect 3.0, which should offer more intuitive connectivity and a faster response. Another adjustment to the 2017 ProMaster is that you can no longer pair the 118-inch wheelbase with the diesel powertrain. Additionally, diesel models now come standard with an electronic parking brake. Finally, the Smoker’s Group can now only be added via Mopar dealers. 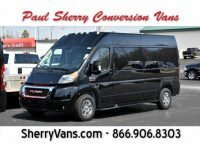 Other than these updates, the 2017 RAM ProMaster is fairly familiar to the previous model years or converted versions of them. 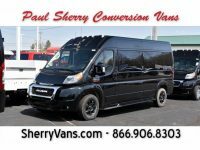 The ProMaster continues to be offered as a 1500, 2500, or 3500 model with either a high or low roof. There is also still the choice of three wheelbases with the 3500 cutaway featuring a 159-inch wheelbase, offering an extended frame or extended body. Even the 3.6-liter V6 Pentastar and the 3.0-liter EcoDiesel are familiar.